Simply put, a “post-term” or extended pregnancy is one that lasts more than the so-called “normal” term of 37 to 42 weeks. This happens to about 2% of pregnant women. Nowadays, a post-term pregnancy is a phenomenon that can be managed without harm to either mother or infant. You simply need to be aware of the medical facts. Fact #1. Your “extended” pregnancy may be due to a miscalculated birth date. Doctors usually calculate your baby’s due date from the first day of your last menstruation (about 40 weeks later, or 280 days). But this is just a general estimate, not an exact calculation. In the first place, calculating due date according to menstrual days is never going to be accurate with women who have irregular menstrual periods. And each woman’s pregnancy is different. You should give almost 2 weeks’ allowance around your baby’s predicted birth. The only way you can be sure of when your baby is due is to have an ultrasound test during early or mid-pregnancy. Your doctor can then see how far the fetus has developed. 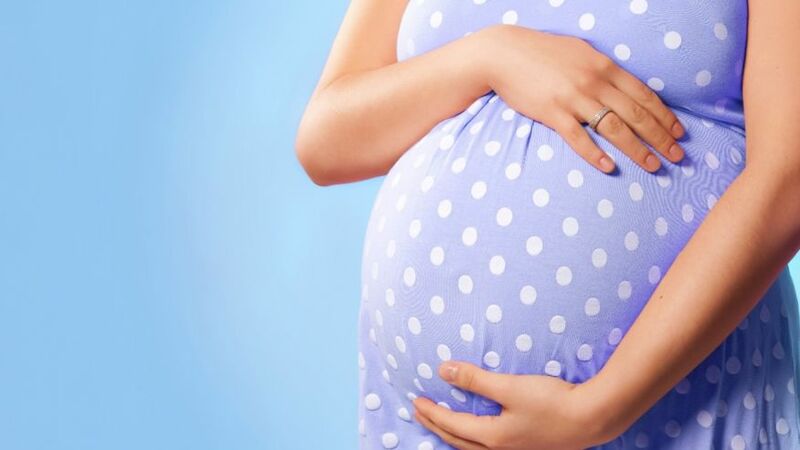 By comparing its appearance to when you first felt any movement from the fetus, and when a fetal heartbeat was first detected, the doctor can make a more accurate calculation—and confirm if your pregnancy is indeed post-term or not. Fact #2. A post-term pregnancy often still leads to a normal, natural birth. A post-term pregnancy poses certain risks to both mother and child. The baby may already be expelling its first bowel movements (meconium) while still in the womb, and accidentally inhale some contaminated amniotic fluid. The precious amniotic fluid itself may have already decreased, disrupting the flow of blood and oxygen to the unborn baby. Furthermore, the child may already be too large, making childbirth labor longer, and causing life-threatening injuries to the mother and baby. However, not all of these risks materialize in a post-term pregnancy. Again, it’s different with each case. In other words, dont’t panic—yours may not even be an emergency. If you do indeed have a post-term pregnancy, your doctors must do ante-natal fetal monitoring, immediately after 42 weeks of gestation. This monitoring is a series of tests to see if the baby is still healthy and safe enough to stay a few days more in your womb. Your doctor will also look at your own medical history. Your body may very likely induce labor on its own in a few days’ time, and permit natural vaginal birth. Fact #3. Birth can induced, either naturally or medically. Let’s say your doctor says you can wait for your body to induce labor. Are there natural ways of helping it along, which you can do? Happily, yes. Proper exercise and nutrition are important. With their doctor’s guidance, some post-term pregnant women have safely induced labor by simply walking, engaging in sexual activity, or even eating special foods. There are also acupuncturists and homeopathic doctors who can induce labor through natural herbs and specific pressure points on your body. Only when your health and your baby are at serious risk will your doctor recommend a medically-induced birth, or a C-section, to deliver your baby. 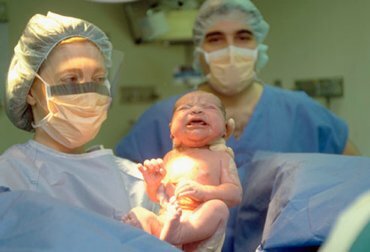 Be sure to talk to your doctor about all options and possible risks before undergoing a C-section.